Mickey and the Magical Map is a new show in Disneyland’s Fantasyland Theatre. Many people will know this location to previously house The Princess Fantasy Faire, Snow White: An Enchanting Musical, or one of it’s many other previous shows and events. Upon taking your seat in the theater the first thing you’ll see is naturally, the stage. When not in use a large cloth reminiscent of Yen Sid’s sorcerer’s hat from Fantasia’s The Sorcerer’s Apprentice covers what soon will be revealed as the map itself. Surrounding the map and it’s cover are large panels of gold trimmed cartoonish wood as well as multiple buckets of paint. When the show begins, you are quickly introduced to the main characters. 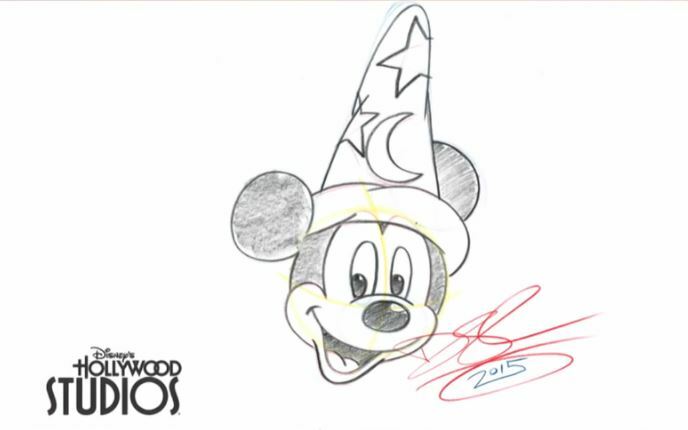 Yen Sid, the Sorcerer who presides not only over the map and his workshop, but as Mickey’s Mentor. 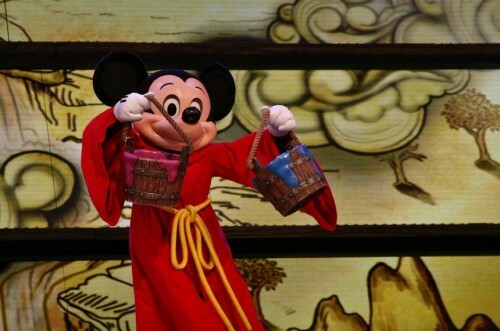 Mickey Mouse himself in his classic Sorcerer’s Apprentice robes, as well as a cast of characters called map makers. The story of the show goes as this; Mickey once again is getting ahead of himself, frustrated at simply being an apprentice. Desiring to paint the map like the other map makers, he is not yet allowed as he has not learned the secret of the map; which is the key to graduating from his apprentice role. Chaos ensues as once again, Yen Sid puts too much faith in Mickey and leaves him alone with the map and a paint brush. 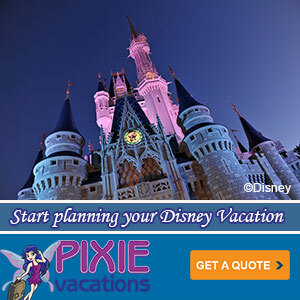 As seen in the Fantasia Short or even the Junction Point series of video games, Epic Mickey, our curious hero can’t be trusted alone with anything that may be magical.